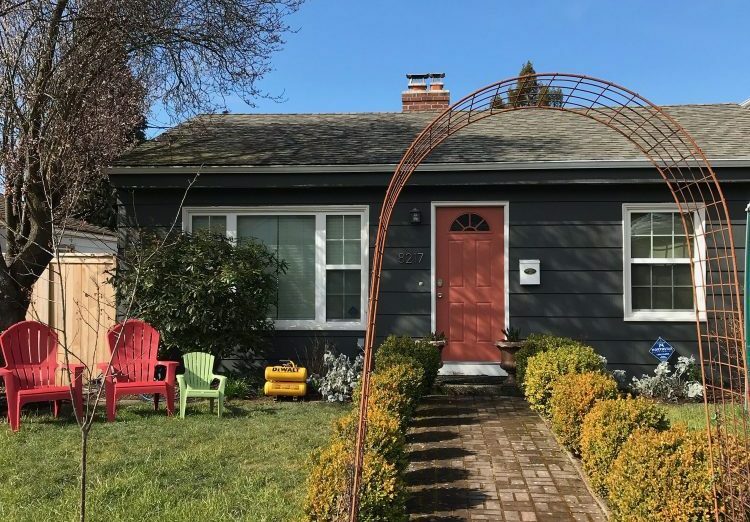 May 4-5, 2019 on the the Northwest Green Home Tour! A typical West side war-box gets a Mighty Second Story! This addition is still underway – so it’s an exciting chance to see the “inside the walls” stage of the project. This family was living happily in their 1940’s war box home, but as they grow they are finding that their compact home was just a little too cramped. The West Side Second Story Addition was designed by Leo Smith Architect with the goal increasing square footage while preserving the first-floor bedrooms and bathrooms. Adding a dining room off the kitchen on the backside of the house with a 2nd-floor master suite, became the ideal solution; adding just enough square footage and gaining some stellar views of tree canopy and the Puget Sound in the process. 475 High Performance Building Supply provided a modified Smart Wall System including cellulose insulation and smart vapor barriers provides a highly efficient envelope. “Glavel” – a recycled glass material – insulates below the foundation. Instead of replacing the flooring, the existing wood will be re-finished and added onto for a seamless flow. We also worked to minimize scope and cost creep by maintaining the existing kitchen mostly as-is. Infrared radiant ceiling panels by Mighty Energy Solutions provide an efficient and cozy heat source throughout the addition. Hardie siding and Borel trim make for a super durable exterior. 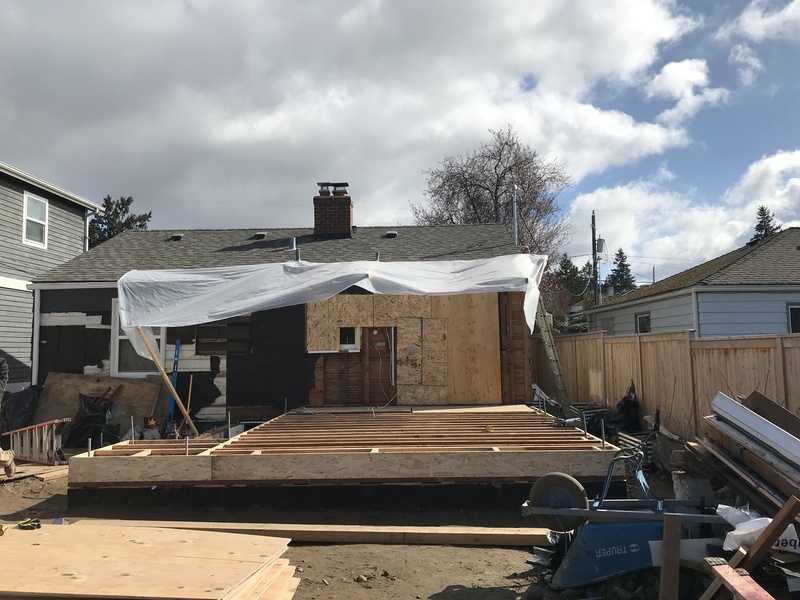 The existing deck of the home was recycled. The addition’s finishes will include a repurpose antique furniture for the master bath vanity, LED lighting throughout, VOC-free interior paints, and low-flow plumbing fixtures. IN PROGRESS – stay tuned for more photos!